Bernat Blanket is a super cozy, super bulky chenille-style yarn is available in a range of stylish shades to compliment your home decor. Recommended for: Knit and crochet home decor projects including blankets, afghans, throws, baskets, pillows and more! 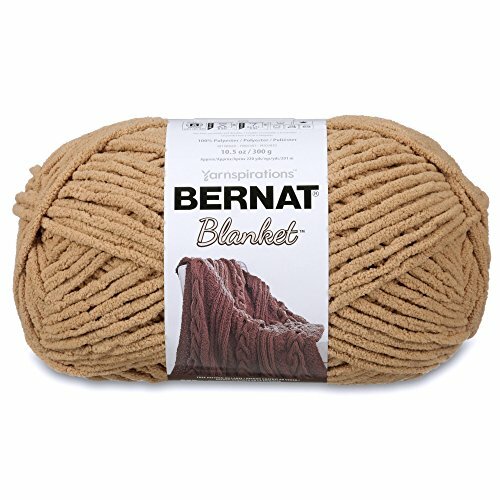 Luxuriously soft and cozy, Bernat Blanket is a chenille-style yarn thats perfect for home dcor projects. From blankets, to crochet baskets, Blanket is ideal for a wide range of projects. Its super bulky weight stitches up quickly, making it a great choice for afghans and blankets. Available in a wide range of solid and variegate shades to compliment your home dcor and in an economical big ball size for larger projects. Conveniently machine washable and dryable.